Manage and lead Process Validation activities pertaining to B100 licensure and lifecycle management within the context of B100 start-up facility project and the MTech project organization. Deliver a strong and comprehensive validation program and package for: media/buffer preparation, antigen preparation and adjuvant manufacturing. Manage and provide technical leadership for the strategy, planning and execution of process validation activities. Manage and support qualification and implementation of single-use applications. Support commissioning and qualification (C&Q) of media and buffer preparation and delivery systems, as well as C&Q of other manufacturing and supporting systems. Support execution of cleaning validation plans. Support execution phases of the B100 project (validation, start-up, ramp-up) in coordination with Operations, Technical services, Quality and RA. Lead/build process validation team to assure the required discipline for successful execution/ completion of deliverables. Ensure the development of effective and consistent process for preparation of buffers and media and antigens with new equipment and SUT. Ensure comprehensive mixing studies, establishing validated conditions (duration, mixing speed, temperature, etc.). Filtration validation (fit for use for process conditions, retention, binding, compatibility, etc.). Ensure preparation, review and approval of protocols and reports as per project schedule. Oversee/prepare Media and Buffer process validation master plan and support planning and execution of other validation plans (for cP, Dip and Tet). Drive/Lead execution of validation processes, ensuring preparation, review and approval of protocols and reports as per project schedule. Commissioning and Qualification of Cleaning Systems. 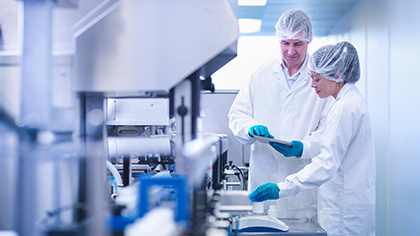 Working closely with C&Q, Automation and Process Engineering leads to support assessment of system integration, flow path sequencing, and recipe development. Support development and execution tests for SAT and Qualification of CIP skids and their target systems. Support execution phases of the project (validation, start-up, ramp-up) in coordination with Operations, Technical Services, Quality and RA. Manage Process Validation team to assure the required discipline for successful execution/ completion of deliverables. Lead Media and Buffer preparation and antigen manufacturing and validation to assure the required discipline for successful execution/ completion of deliverables . Apply sound project management tools to track execution, cost and earned-value analysis. Master or Ph.D preferred, BSc with 5+ years demonstrated leadership (project/people management). Minimum 8-10 years direct experience in biotech pharma/biotech manufacturing, and quality environments in a process validation role. 5+ years demonstrated leadership in behavioral competencies and project/people management. Senior technical experience and specialist expertise in process validation including cleaning validation, media and buffer validation and filter validation. Strong understanding and direct experience with single use technology, including implementation and validation of single use systems. Sound knowledge in biochemistry and protein chemistry is an asset.